Serving Indian Trail and the surrounding communities, Penguin Cooling & Heating is your one-stop shop for HVAC repair and maintenance. Backed by a 100% Customer Satisfaction Guarantee, our team of licensed technicians can improve your indoor air quality through better ventilation, filtration, and system efficiency. Whether you need HVAC repair, cleaning, installation, or a full-scale replacement, our team is on-call 365 days a year to serve you better. Do You Need HVAC Repair in Indian Trail, NC? If you want the finest HVAC repair in Indian Trail, NC, you need to trust the professionals. When it comes to duct repairs, reroutes, or modifications, you can’t afford to gamble on less-than-stellar service. Luckily, our fully insured and EPA certified staff are available year-round to make sure you get the quality service you deserve at an affordable rate. At Penguin Cooling, we offer a range of HVAC services for those living in Indian Trail and the surrounding Charlotte area. 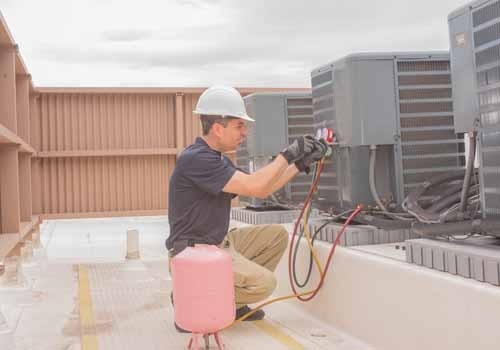 Although we often handle requests as simple as routine coil and duct sanitization or AC filter replacements, we are also adept at major jobs such as system-wide installations and reinstallations. Here are our three most popular HVAC services. We offer duct, ventilation, and heater installations to keep your household properly humidified and climate-controlled. Plus, we won’t leave your sight until the system is working at maximum efficiency and you are 100% satisfied with the job we have done. We spend up to 80% of our time inside our homes. That’s why none of us can afford to live somewhere where indoor air quality is compromised. Poor air quality not only reduces our quality of life, but it also poses serious health hazards. 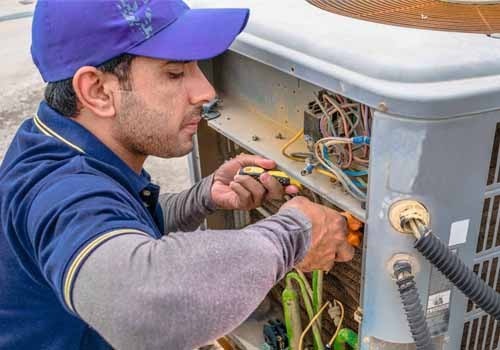 Never hesitate to call the experts when it comes time for you to repair your HVAC system—trust PenguinCool for same-day service. 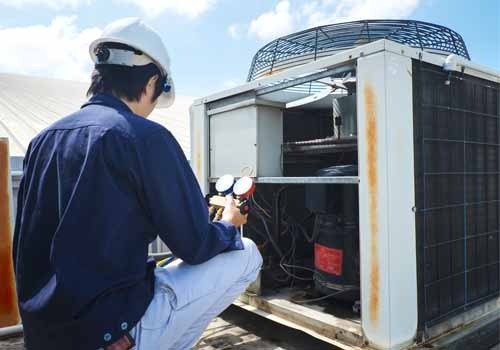 Replacing an HVAC unit or system is just as important as repairing or installing an HVAC system. If you notice changes around the house in your indoor air quality, give us a call. We can schedule a quick no-obligation appointment to diagnose any serious issues your HVAC system might have, and work with you toward a solution if the situation calls for it. Conveniently servicing Indian Trail, NC – Our offices are open year-round to serve you whenever you need. Plus, you can rest assured knowing that all our technicians are not only licensed and certified every year, but they have also undergone background checks at the federal and state levels. Going the extra mile is why we’re quickly establishing ourselves as the premier source for HVAC repair in Indian Trail, NC has to offer. Ready to take the first step toward a cleaner, more livable indoor home environment? Give us a call today to get a free quote on your next HVAC repair or installation project. Our team of trained professionals can have you and your family living in affordable, eco-friendly comfort all year long.